Yesterday Microsoft unveiled their new home video game console, the confusingly-named X-Box One. There was lots of interesting details about how the machine would interface with the TV and serve as a media hub and other things, although major game news was limited to the revelation that the always-splendid Remedy Studios were working on a new game called Quantum Break (and would be returning to the Alan Wake universe at some point as well). 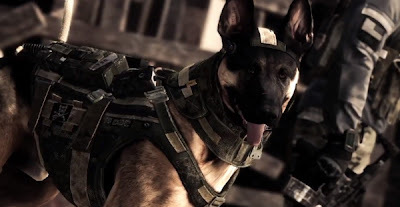 The point when the presentation took off, however, was when the video for Call of Duty: Ghosts (henceforth referred to as COD Goats) was shown, confirming that there was a dog in the game. The biggest thing on the planet right now. "There he is, the guy with the mail bag. Three rounds rapid!" The games console you just spent five years and hundreds of millions of dollars working on? Nobody gives a toss, because a game has a dog in it. 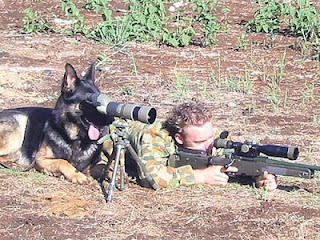 And it's not even the first game to do so (and in ARMA 2 you can even play as the dog, if you fiddle around with settings). Ladies and gentlemen, the internet in action.